Cancelamento até 7 dias da chegada: sem penalização. Cancelamentos inferiores a 7 dias da chegada: cobrança da totalidade do pacote. 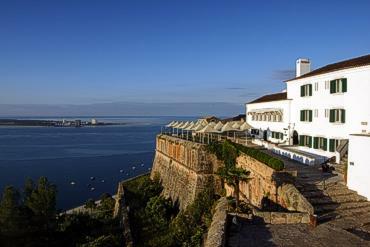 The Pousada de Setúbal - São Filipe, a fortress built in the 17th century by King Philip II of Spain (Philip I of Portugal), has a breathtaking view over the River Sado estuary. Setúbal, one of Portugal's main ports, also offers beautiful walks within the historic centre and surroundings, such as Sado river beaches or the Arrábida mountain range. 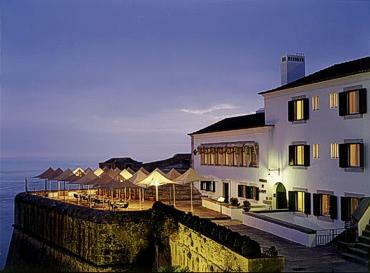 São Filipe's historical Pousada was installed at the fort of the same name, and built in the late XVI century. It rises from a beautiful recess of the river Sado, between the port of Setúbal and the narrow peninsula of Tróia. One arrives at the Pousada over a rampart that crosses the thick walls of the fort, where one can appreciate the panoramic views of Arrábida, of the estuary of Sado and the Atlantic. The beginning of the works date from 1582 and its purpose was to defend the setubalenses borough. The plan of the construction works were entrusted to Filipe Terzi, an Italian architect. Following the beginnings of the military architecture of that time, where the artillery had an increasingly important role in the war arts, the Fort of S. Filipe presents a starry form, of six points in that the walls form some very sharpened vertexes. This defense line is surrounded by a moat. On the landside arises a second wall, external to the first and the moat. Another defense work, in rectangular form, long and with bulwarks, faces the sea. 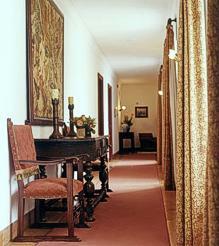 The entrance for the Pousada is a discreet door, strategically opened in a reserved corner at the base of the fortress. The national shield with its five edges sculpted in the stone, representing the Portuguese crusades, it is the only ornamental element of the castle porch. Although there are no signs of the moat there is in the wall marks of a previous existence of a movable bridge. The ramp of 40 worn-out steps, inside of a high and arched tunnel, gives access to the Pousada. In the middle of the flight of stairs stands a room that now is used as a meeting room. Four hundred years ago it was the entrance of the prison. On arriving at the top of the stairs, on the left side, you will find the private chapel of the fort, ordered to be built by D.Manuel in 1736. 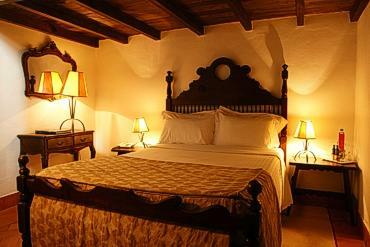 In the interior, it presents a layer of tiles of the 18th century which were the walls and the vaulted ceiling. Depicting a group of figurative panels with representation of scenes of the life of the Virgin, in the chapel-mor area, while in the lateral walls episodes of the life of S. Filipe are evoked, signed and dated by one of the great Portuguese masters, Policarpo de Oliveira Bernardes. Past the church, we arrive at the front esplanade of the fort. The landscape is magnificent, the immense blue lake of the Setúbal bay, the riverside zone of the city, the wonderful beaches of the peninsula of Tróia and the exuberant Mountain of Arrábida. 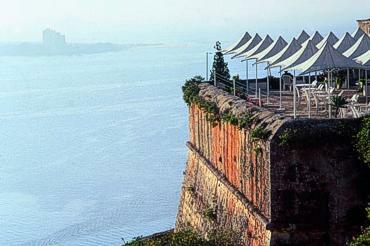 The Pousada inaugurated in 1965, nestles in the bastion of the fortress. In its interior, what jumps to the view, are the small runners and vaulted, allowing us to retreat in time and visualize the life of the troops in that entangled of tunnels and compartments. Today, everything is adapted to receive the guests and the decoration has been adapted to the place. Some pieces of furniture in the corridors are part of the furniture that was left behind over the years. Some rooms locate in the old cells of the fort, for this reason, the dimensions are not big but the excellent use and the good taste in the decoration of the rooms provide a pleasant permanence. 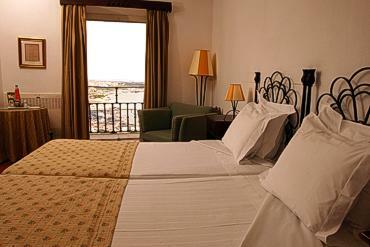 Eight of the rooms have a sea view; the other eight are inner rooms. The Pousada still counts with other attractions, such us a bar, a living room for social encounters, a small gambling room, a dining room and a great external terrace for example. For those who like history, you can ask the inn manager, Carolina Marafusta, a visit to the underground galleries that are wonderful. It is worthwhile even to go inside of the depths of the catacombs and with some imagination we can go back centuries in time, and we almost feel the guards' steps in the dark corridors and we hear the wailings of prisoners. 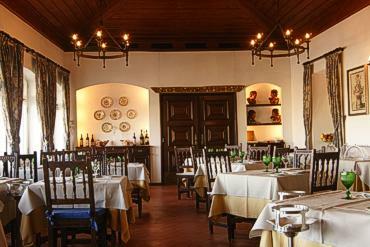 Certain rusticity truly gives the Inn a relaxed atmosphere, seasoned with appropriate, simple and sober decoration. In summer, you can enjoy the nights of the Castle, with a program that includes a dinner buffet, a craft exhibition and entertainment, among which you can enjoy fado and fireworks. 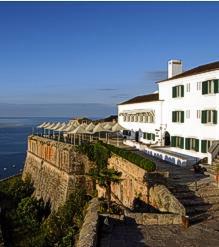 The Pousada has 16 rooms: 1 Suite with sea view, 7 others also with sea view, 5 located in the former cells and 3 with views to the castle. 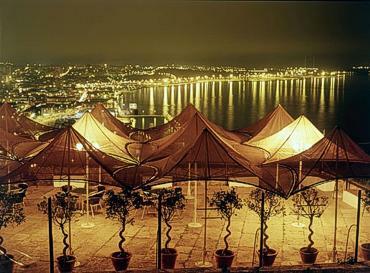 The restaurant has the capacity for 60/65 people, having also a marvelous view over Setúbal and Sado. In summer, the events can take place in the esplanade, where the capacity goes up to 150 / 200 people. Setúbal is situated 48 km south of Lisbon.